Is there reason to think a Republican takeover of the House wouldn't be catastrophic for liberals? Probably not. But here's one small piece of consolation: Some of those newly elected Republicans may not turn out to be very Republican. Boris Shor, a professor of public policy at the University of Chicago, has taken a closer look at some of the more moderate GOP candidates who appear poised to win seats in historically liberal districts. From that list, he's come up with twelve candidates who, based on either their voting records or the preferences of their constituents, are likely to vote like moderates and defy their party on a regular basis. Consider two examples. In Oregon's fifth congressional district, Republican State Representative Scott Bruun is likely to beat the Democratic incumbent. Oregon's fifth is a pretty liberal district and Bruun himself has a more liberal voting record than most of his GOP colleagues in the State Senate. 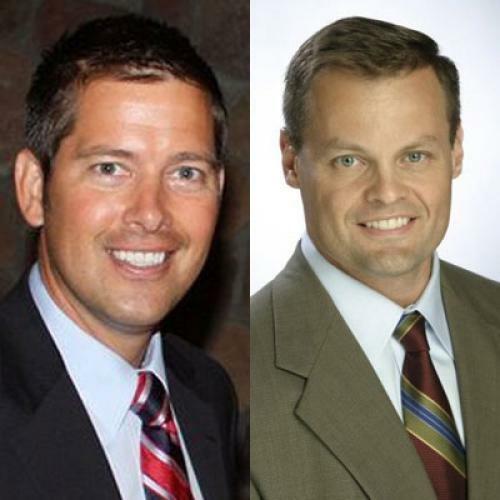 In Wisconsin's seventh district, Republican Sean Duffy is likely to win the seat formerly held by Congressman David Obey. Keep in mind that Obey has held the seat since 1969. While that might reflect the power of incumbency, the district also voted for the Democrat in the last two presidential elections. State Senator Sam Caligiuri has a small chance to defeat incumbent Chris Murphy in this Northwestern Connecticut district, including the town of Waterbury. If he does, Caligiuri is going to have the distinction of being the most liberal Republican in Congress since at least 1993. And that’s coming from a conservative for CT Republican state senator. Wow. Might these members defy their districts, or their personal histories, and vote strongly Republican anyway? Sure. Party leadership will certainly pressure them to do so, just as Democratic leaders pressured members of their caucus in the last two years. And Republicans, if anything, tend to be more effective at enforcing party discipline than Democrats are. But these new Republicans seem likely to risk a backlash if they vote with their party too consistently, particularly if the party line is being handed down from a Republican leadership in the thrall of the Tea Party movement. Just look what has happened to Joseph Cao in Louisiana's second Congressional District. As Shor notes, Cao was the sole Republican vote on health care reform legislation and is generally a moderate Republican. But that wasn't enough for the Louisiana's second congressional district and Cao looks like he's one of the few Republican incumbents likely to lose this year. Shor's track record on this is pretty good, by the way. When Scott Brown surprised everybody by winning the race for Ted Kennedy's old seat in Massachusetts, Shor predicted that he'd turn out to be a moderate. And that's turned out to be correct. Shor estimates that Brown's voting record to date makes him the third most liberal Republican in the Senate, behind Susan Collins and Olympia Snowe of Maine. Look for these candidates–once they win--to magically accumulate moderate and liberal voting records once they realize the next election is only two years away, in rather dangerous territory. Or alternatively, that their campaign rhetoric is one thing, and their personal (moderate-to-liberal) policy preferences are quite another. Daniel Strauss is a journalist who blogs about politics and Chicago.